It's a tough job but somebody had to do it! The task: Sampling Bloody Mary's set to compete this Sunday, June 25th from 11 - 3 pm at the 2017 Tampa Bay Bloody Mary Festival at the Tampa Garden Club on the water off Bayshore Boulevard in South Tampa. We look forward to this weekend with anticipation because it affords us the unique opportunity to sample the best of the best, this is HUGE as someone seen on TV would say! You heard it in your head, didn't you..."HUUUUUGGGHHH!" We hope you enjoy this sneak peek and look forward to seeing you on Sunday! Kicking off our Tampa Taste Tour of Bloody Mary's was the entry from Eats American Grill, Dave Carey is in charge for Eat's this year and well, he is entering a competitor! Without giving away too much let's just say there was a great deal of tasty innovation in this Bloody Mary. They've added something we'd never seen before, and we loved it! The bar was, as usual, packed for Happy Hour; as our Bloody Mary was delivered a rise came up from the crowd. Hearing plenty of oohs and ahs they teased about helping us finish our drink. Infused with a local craft beer by Pair 'O Dice Brewing, crafted with lime and jalapeno, they added a touch more heat imparting a smoky flavor. Without giving too much away, their famous "Hog Riders" are part of the garnish which includes infused tomatoes and much more. Find Eats' in two locations, South Tampa and Riverview. 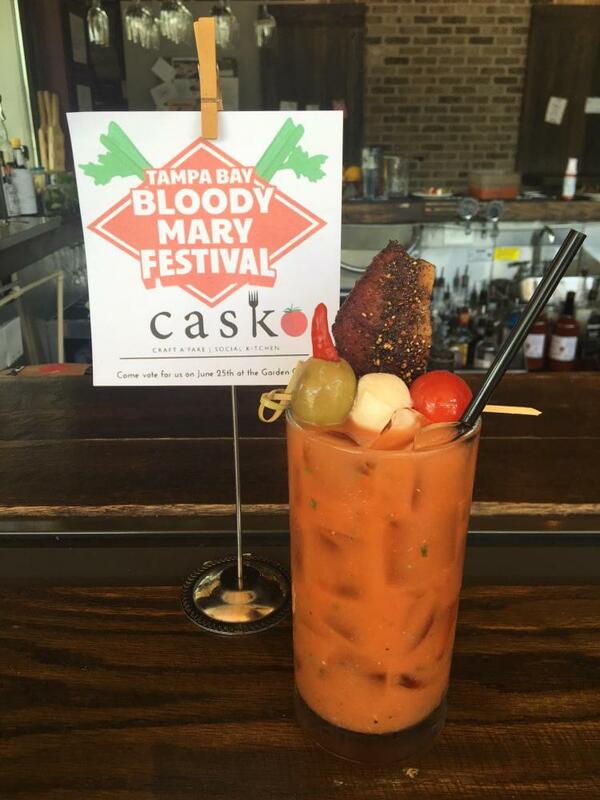 Next, we headed to Cask Social Kitchen in the SoHo District of South Tampa to eat, drink, and be social, getting up close and personal with their entry into the Bloody Mary Festival. Known for creative handcrafted cocktails we were anxious to see what they dreamed up. Our bartender managed to put good old southern hospitality in a glass with the Cask entry. As we sipped our drinks we discussed how difficult it is going to be for the judges this year! The Cask Bloody Mary was excellent! 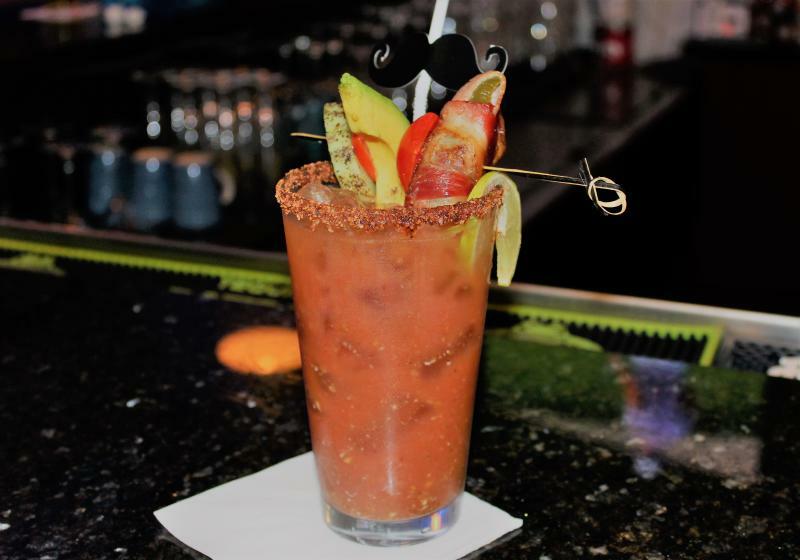 Winner of the Golden Celery Award for Best Bloody Mary at the 2016 Bloody Mary Festival, we hit Champions at Tampa Marriott Waterside Hotel & Marina in downtown Tampa, this huge sports bar, just a short walk from Amalie Arena and the Tampa Bay History Center is THE place to be before any Lightning Game or to watch epic sports events like the upcoming El Clasico Soccer match. 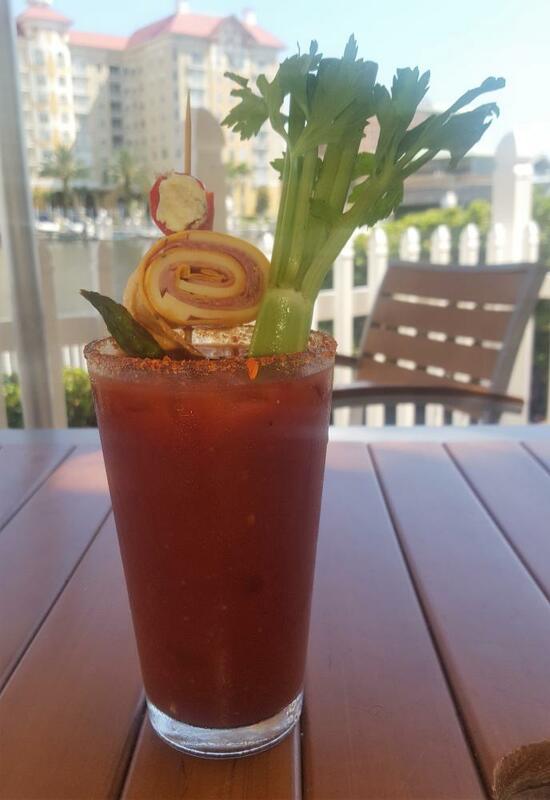 The Waterside's Bloody Mary has long been a local favorite of the Sunday Brunch crowd in Tampa, we excitedly sipped their entry and to our surprise found something quite unique. Suspended in their Bloody Mary are little bursts of flavor, unlike anything we'd had before. Will they take the award again this year? It's up to you Tampa, your votes count towards the Fan Favorite award. 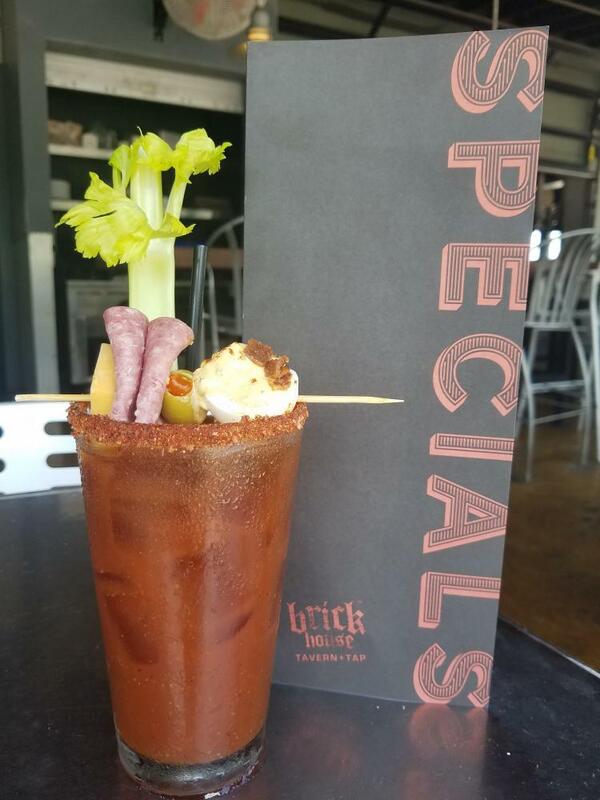 Located on Dale Mabry, just south of I275, Brick House Tavern & Tap is the "man" bar & restaurant featuring a hefty Bloody Mary this year! A spicy concoction of Zing Zang mix, Guinness and Tito's vodka it is garnished with celery, cheddar cheese, salami, an olive and their signature deviled egg, the rim is a tasty blend of secret spices. We could not figure the secret out, perhaps you can! Located next to the Bay Harbor Hotel on the waterfront off Courtney Campbell Causeway, Beach Bar | Restaurant is a 20,000-square-foot indoor/outdoor venue featuring three bars, a restaurant, beach volleyball, cabanas, pool, and well, pretty much anything and everything you could ever want in a place to kick back and relax! Add to that a killer Bloody Mary and you've found a piece of heaven on Earth. Their Bloody was refreshing, different, it was light and in a word, amazing. 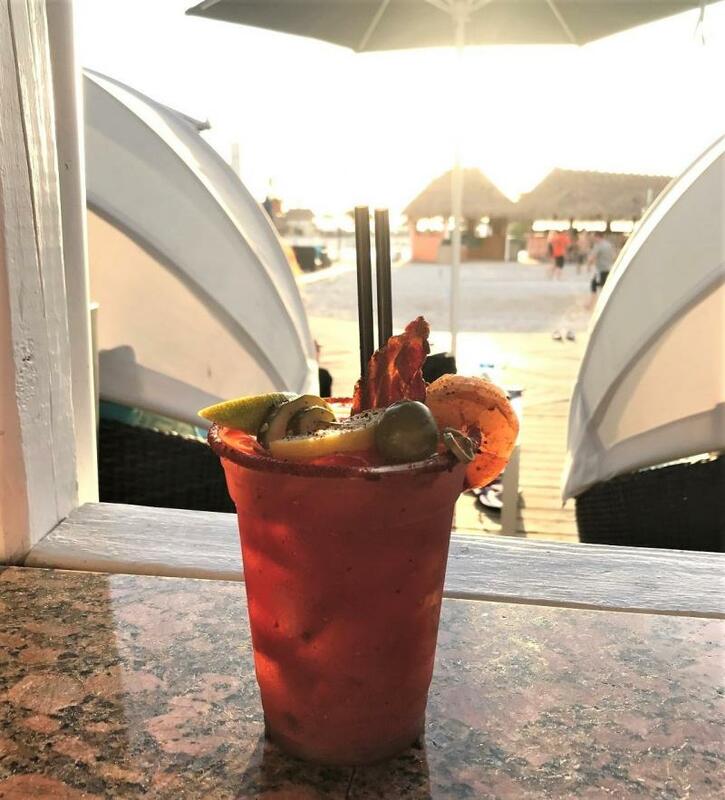 We took a few pics, however, we must tell you, a few 'secret' ingredients have been intentionally left out, you will have to go to the Tampa Bay Bloody Mary Festival this Sunday to see and taste the entire Beach Bloody Mary. We know the secret and immediately thought, "Wow, can't wait to see how they do that!" It sounds impossible, but they assure us it's not. General Admission Tickets are $40 Adv | $45 Door, VIP are $80 Adv | $95 Door. VIP Experience includes UNLIMITED FULL SIZED Bloody Marys & Mimosas in an air-conditioned suite along with a delicious brunch. Tickets are limited so be sure to grab them online today. 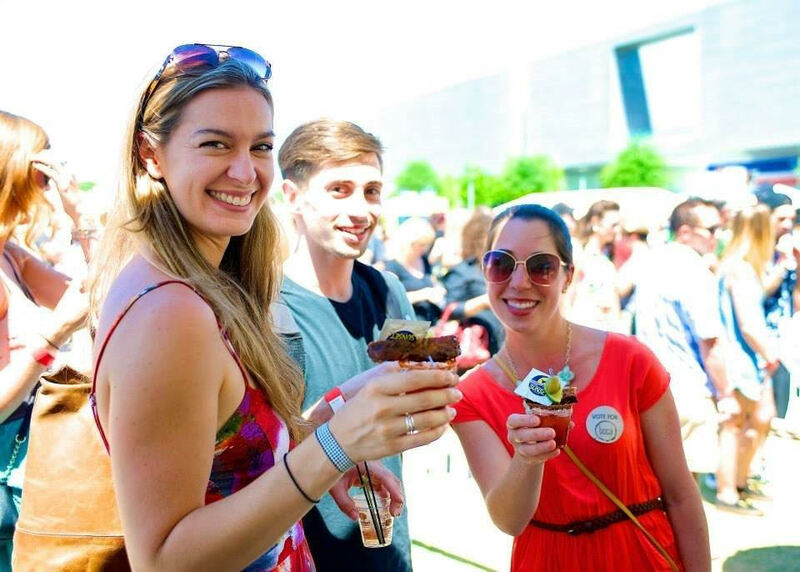 The party starts at 11 and ends at 3 pm, all guests enjoy unlimited samples. Try them all and vote for the best!